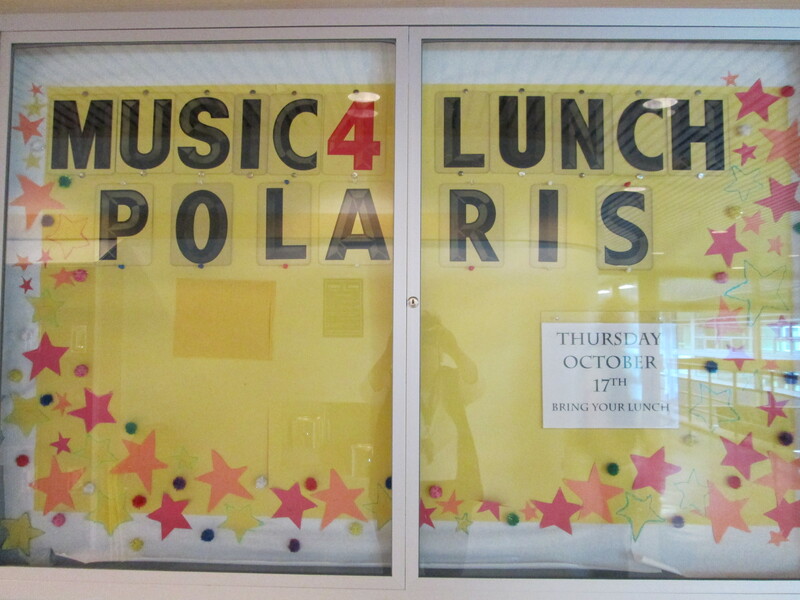 Our 2013-2014 Music 4 Lunch Series begins Thursday, October 17th with Polaris, North Surrey’s award winning Chamber Choir. 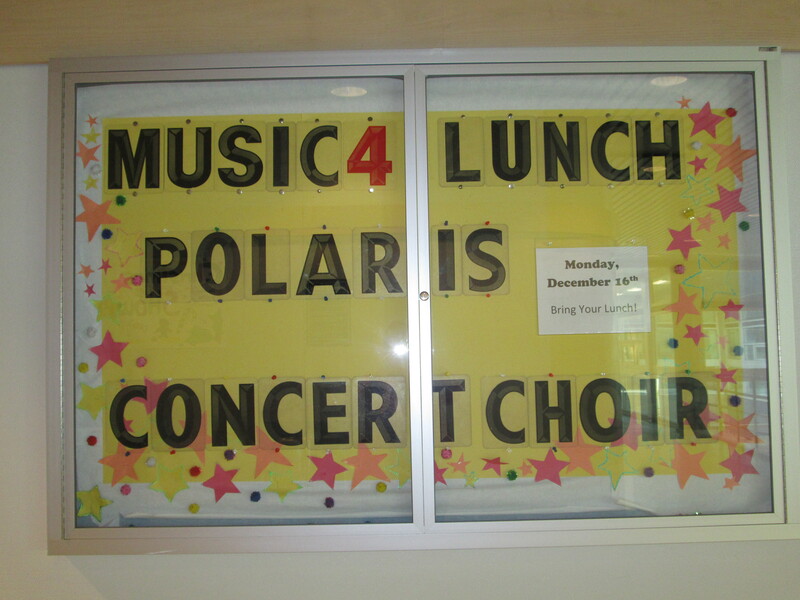 All students and staff are welcome to bring their lunch and enjoy the concert in the Library. 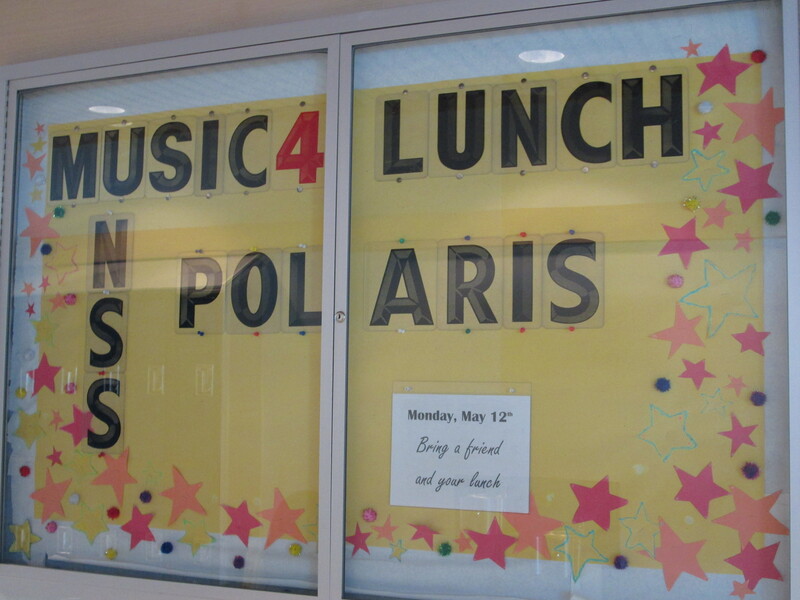 Our next Music 4 Lunch Concert will be on Thursday,March 14th. Everyone is welcome. The concert is FREE and you can bring your lunch! 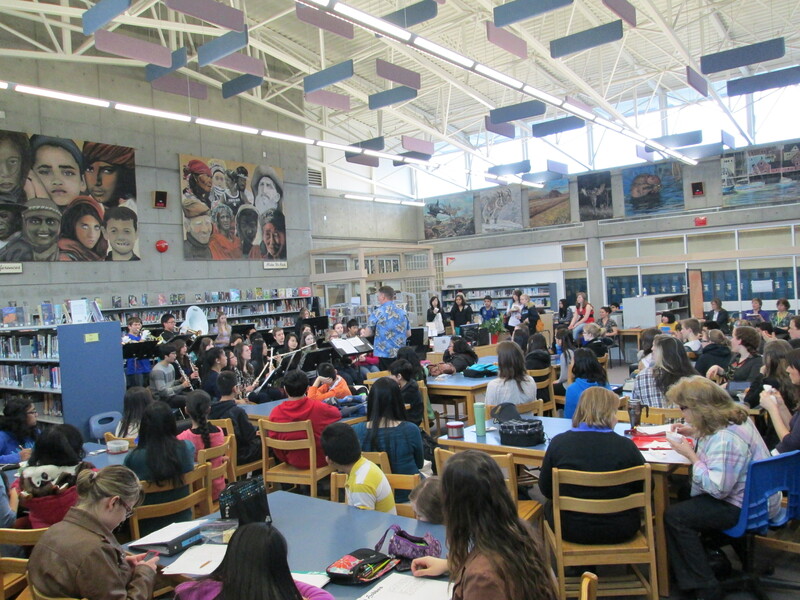 Today at lunch, the North Surrey Library and Learning Commons hosted the first free concert in our Music 4 Lunch concert series. 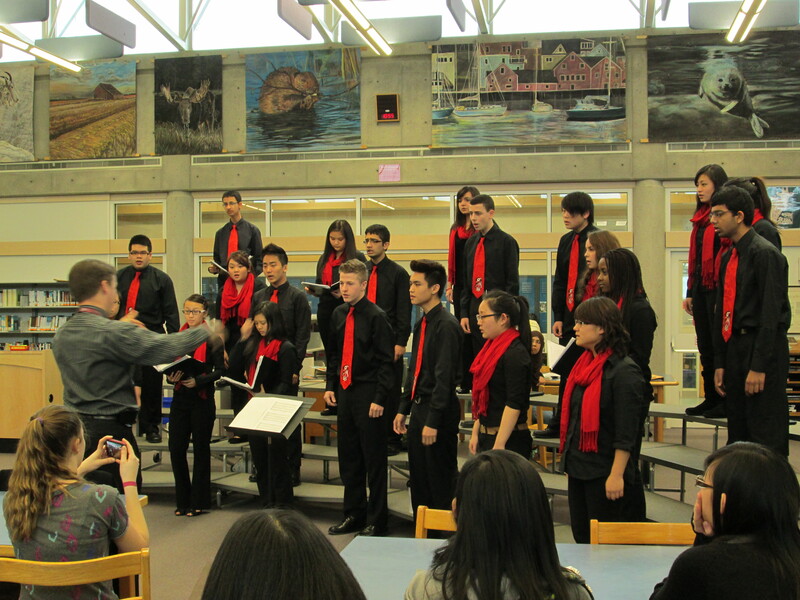 The library was packed with students and staff who enjoyed a wonderful concert by our very own chamber choir Polaris. 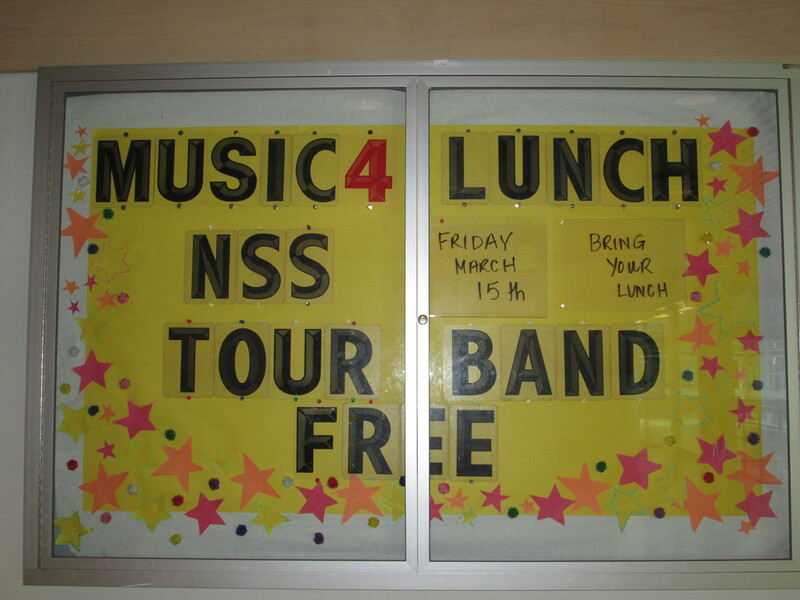 Next up in our series is the North Surrey Tour Band, performing at lunch on March 15th.